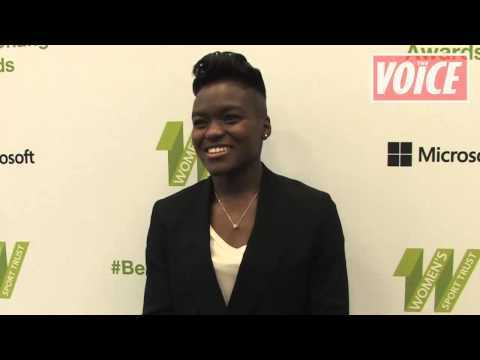 OLYMPIC AND Commonwealth boxing champion Nicola Adams was declared Sporting Role Model for 2015 at the #BeAGameChanger Awards on London’s South Bank on May 14. The Leeds bantamweight was one of numerous women, campaigns and companies celebrated at the Women’s Sport Trust (WST) event hosted by the Rambert Dance. The Awards shine a light on the positive steps being made at the WST and beyond to increase female participation in sport across the nation, as well as efforts to expand media coverage and monetary resources within women’s sport. There has been tangible progress in recent years but role models remain fundamental to the growth of female sport. Adams was asked by hostess and former BBC broadcaster Alison Arnold about her status as a role model. “To be able to influence girls to get into sport, I never dreamed that I’d be able to be somebody’s hero,” she told an audience of her fellow sportspeople and business leaders.